Sath24, from Trinidad & Tobago pondered long and hard about his question for the Guru. Finally, he asked when he would find a dirty bird. The Guru replied with confidence. For those of you who are not from a country that celebrates the carnival, J’Ouvert is one of the most unusual, colourful celebrations in the world. In Trinidad, at 4am on the Monday before Ash Wednesday, J’Ouvert begins. It is a pre-dawn party involving masses of people walking the streets behind large music trucks. They smear themselves and each other with oil, water, mud, cocoa, paint, and more. If you’re an OCD clean freak, the party will likely be your worst nightmare realised. Reminds me of the Indian festival of holi when people throw coloured powder and coloured water on each other. This is part of a series of Holi rituals observed in celebration of the end of winter and the harvest in India, Sri Lanka and Nepal, but is observed by Indians in other countries such as South Africa, United Kingdom, United States, Fiji and even Trinidad. Dirty birds all over the world! 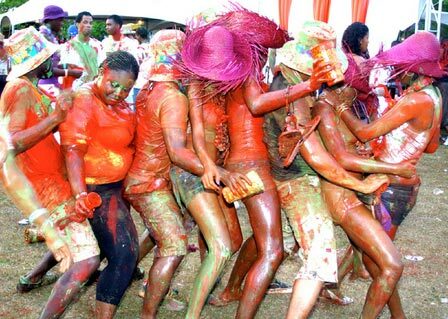 Ahmmm…no…people don’t dance like that for Phagwa/Holi in Trinidad and they do not drink alcohol or bhang during the festivities here! Not sure what a dirty bird is but perhaps humans should leave animals out when they want excuses for their lewdness! For he hasn’t given one bit of sensible advice yet! 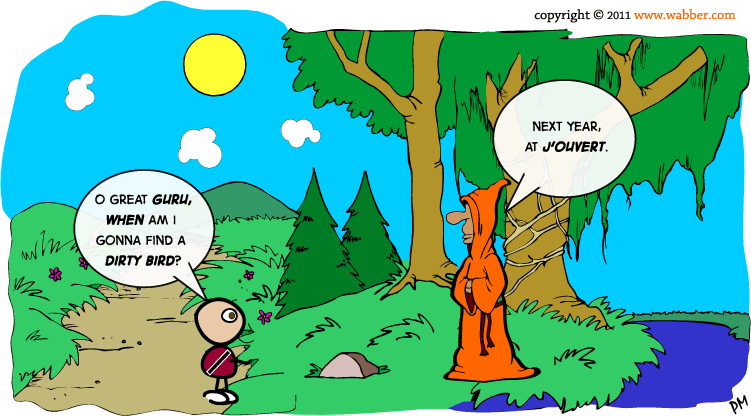 @Meady – The Guru’s words only mean something to those who are open to his wisdom. If you would like to derobe the Guru, please be advised that there is a long queue. Incidentally, just because you do not drink alcohol or take bhang for a particular festival, does not mean that nobody else in Trinidad does.